The medical field is a vast sector, offering many excellent job opportunities that can put you on a road to an exciting career. If you want a job right in the heart of this field, however, there is no better choice than training to become a nurse. That’s where we come in! The mission of our website is to take you step-by-step through the process of this rewarding career. We’ll present the physical, emotional, and spiritual benefits that can be obtained and show you exactly what it will take to become the best nurse you can possibly be. 1 The Overview – What is Nursing? 2 The Position – What is a Nurse? 4 Why Become a Nurse? The Overview – What is Nursing? Like many other occupations within the health care field, this is a profession that requires a dedication and strong sense of commitment to your patients. Nurses protect, promote and optimize the health of their patients, help prevent injury and illness, and assist those who are suffering from illnesses or injuries through the use of diagnosis and treatment. You must also be an advocate for your patients, their family members, your community, and the entire population, doing everything you can to teach and assist them so they receive the best treatment possible. As a part of the medical community, you’ll be able to help shape health policies, conduct research about new procedures, and provide others with the education they need to maintain a healthy lifestyle, whether they are currently ill or not. The Position – What is a Nurse? Nurses are highly skilled and trained professionals who have dedicated their lives to fulfilling the definition of this career choice. They care for the sick, educate patients about wellness and healthy living, and perform procedures under the direction of doctors. Nursing is more than a job, it’s a commitment. As a nurse, you will learn how to combine scientific skills and medical knowledge gained throughout your nursing education and use it in your career every day. You will soon find, as well, that your education doesn’t stop with your degree. You will continue to learn and develop new skills over time as you gain more and more experience. However, that doesn’t mean you will be able to perform duties outside your scope of practice, which in this occupation is defined by the amount of education you have acquired and the current licensure you hold. A nurse’s scope of practice, or the duties state and national laws allow you to perform, can vary greatly, depending on the health care setting you are working in and your education. While you can find more detailed information within this website, here is a short list of the type of occupations available for this career and a few of the duties that fall within their scope of practice. LPN – A licensed practical nurse has the lowest level of education, but is able to compliment the health care team with routine and basic care. They may provide personal care for patients, start IV’s, perform physical exams, and distribute medications to patients. RN – A registered nurse has a higher level of education, and is responsible for more tasks than an LPN. While some of their duties will be the same, like taking physical exams and administering medications, RN’s are also responsible for making critical decisions about patient care, supervising LPN’s and Certified Nursing Assistant, and conducting research to improve the practice of health care in the facility. 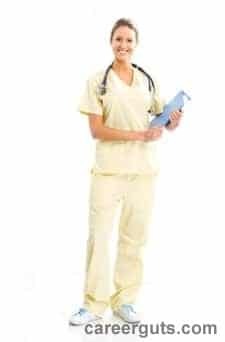 NP – A nurse practitioner is a type of advanced practice registered nurse, an umbrella term that describes any nurse who has obtained a Master’s degree in this field and has the clinical experience to perform duties beyond what a registered nurse is able to. A nurse practitioner can prescribe medication, as well as diagnose and treat minor illnesses without the supervision of a doctor. CNM – A certified nurse-midwife is an advanced practice registered nurse who provides gynecological and obstetrical care to low-risk women. CNS – This advanced practice registered nurse, also known as a clinical nurse specialist, performs duties mainly related to research, consultation, administration, and education. However, they also have the necessary training to work with a variety of mental and physical health problems. CRNA- A certified registered nurse anesthetists is responsible for administering anesthetics to a patient, and is also another type of advanced practice registered nurse. There are several reasons individuals join this exciting field, and each decision is a personal choice. However, if you aren’t sure whether this career choice is the right one for you, then you have come to the right place. On this website, we will provide you with the information you need to assess whether you have the ability to handle this occupation, whether you have the skills for it, and whether you have the right personality. These are all important, because this career is more than a paycheck. You are helping patients through treatment; you are saving lives. If your heart is full of care and passion for this, then becoming a nurse may be a fantastic choice. If you are in it for the money, you may not be able to provide your patients with the care and compassion they need. That’s not to say that the nursing salary is not a big benefit of the job. The average registered nurse makes approximately $66,340. LPNs have less education, so, they make an average of $41,699 a year. However, this is only the average, and it can be affected by several different factors, like education, experience, location, and job responsibilities. For example, a nurse practitioner is a type of registered nurse, but has an advanced degree that allows him or her to prescribe medication and treat certain illnesses. The nurse practitioner’s education and duties greatly increase the salary they receive, which is approximately $91,315 a year. You’ve come here today because you are interested in becoming an LPN, RN, or advanced practice registered nurse, and we can help. If you are interested in making this nursing careers choice, here are a few steps you need to take. Undergraduate Degree – If you want to become an LPN or RN, you need to begin by locating a program that is right for you. The exact kind of degree, however, will determine where you can attend. If you want a diploma, which is the most common way RNs obtain their license, you can attend a hospital based school. An associate degree takes only two years to complete, and is often offered through community colleges, online nursing programs, and hospital based nursing schools. When you graduate, you will most often be prepared for a specific and defined scope of practice. A bachelor’s degree provides you with the most education of all undergraduate degrees and takes four years to complete. This will provide you with a deeper understanding of the field you have chosen and allow you greater opportunities for employment. Graduate Degree – If becoming an RN wasn’t enough, consider advancing your degree by earning your master’s degree, doctor of philosophy degree, or doctor of nursing practice degree. Once you have completed your education, you will have the opportunity to take the NCLEX. There are two kinds, the NCLEX-RN, which is taken by those who want to be RN’s, and the NCLEX-PN, taken by those who wish to be LPN’s. You must take and pass this exam before you can obtain your license and begin working in nursing jobs. Are you ready to start a new and exciting career? If so, we are glad you are here! Within this website, our nursing articles will help ensure you not only understand how to begin your new career as a nurse, but how to be successful at it.